In response to a telegraphic vote which I requested from the board of governors of the National Hockey League resulting from a 20-minute delay in the third period in the Stanley Cup game in Chicago on Thursday, while the ice was being cleared of debris thrown by fans, I have been empowered to forfeit any future game to the visiting club if a repetition of this kind occurs in any of the forthcoming games, and I definitely intend to exercise my authority. 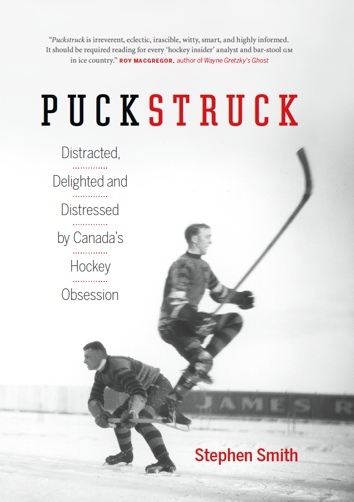 Montreal went on to win the series under its own power, four games to none, for their first Stanley Cup since 1931. None of which implicates Mrs. Georgia De Larne (above) in any such risky behaviour. 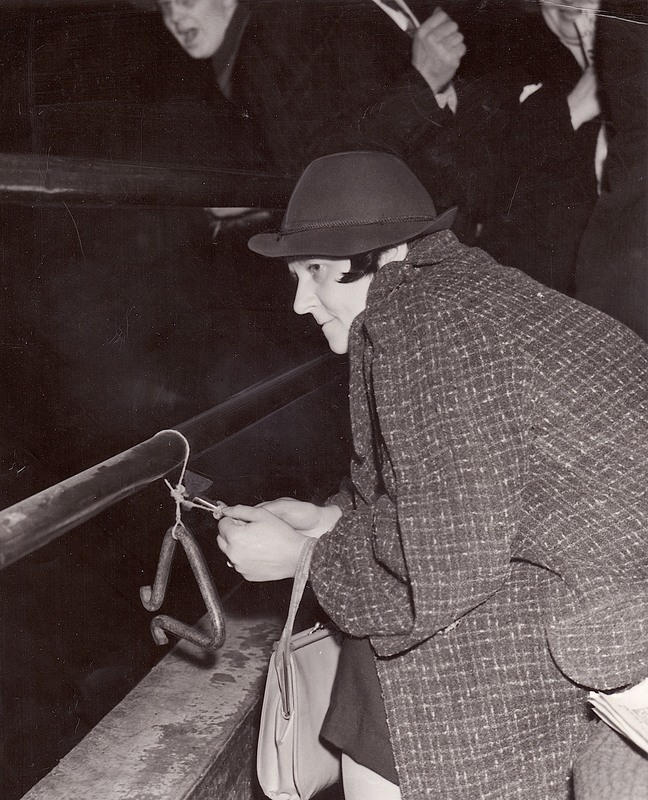 Seen here in Chicago Stadium’s upper balcony in 1941, she’s described in a contemporary newspaper caption as “one of the many noisemakers present in the galley:” clearly a fan committed to making a racket rather than a bad example.